Vintage Old Real Photo Photograph Photographic post card. Ethnic Life. Straits Settlements Malaya Malay. Animals. Singapore. 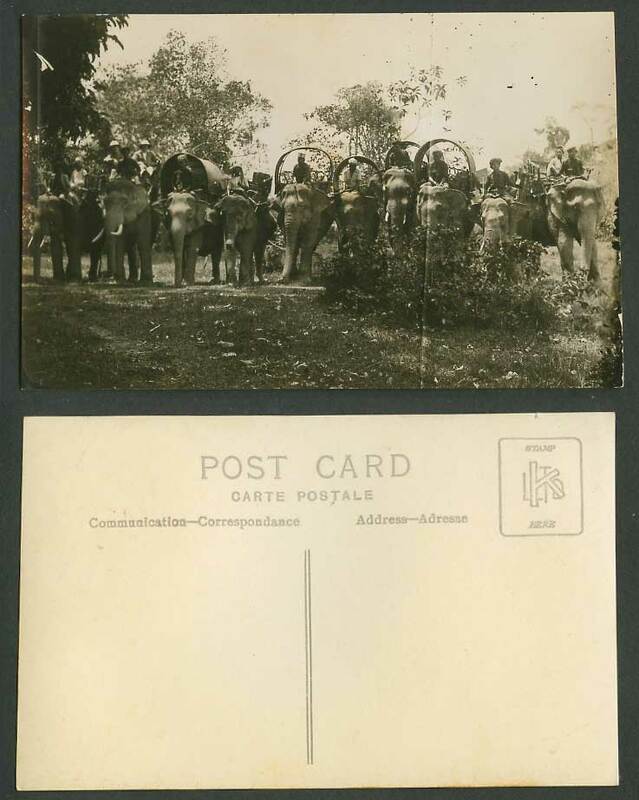 Native Elephant Riders, Chairs on Top of Elephants.